Transfer Application Forms can mean many things. But at its core, it is a type of application form filled out by an individual if he/she wants to change or pass the possession of objects or assets. This transfer may refer to the transfer of properties (real estate, vehicles), grades, school districts, place of employment, money, bank accounts, among others. 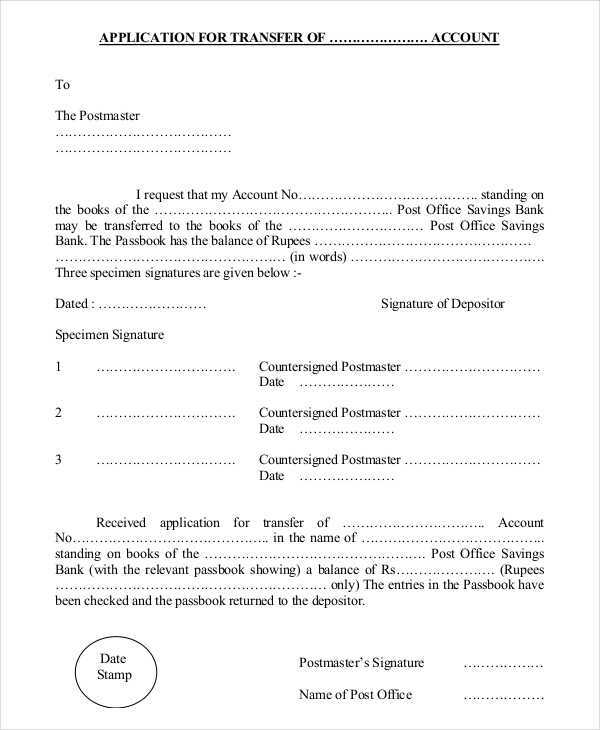 Note that most transfer application forms are used for the mutual transfer of ownership. In this article, we provide different examples of transfer application forms used by different institutions and businesses. Also included are guidelines for formulating a transfer application form for your business or organization. 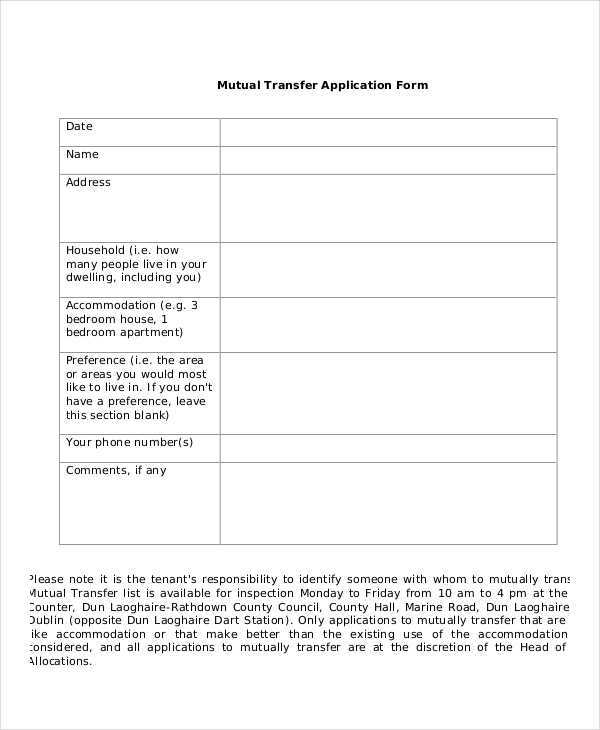 Mutual Transfer Application Forms are typically used by apartment or building tenants who wish to transfer their tenancy contracts to another person. This form is usually needs to be approved by the building’s landowner before it can be finalized. 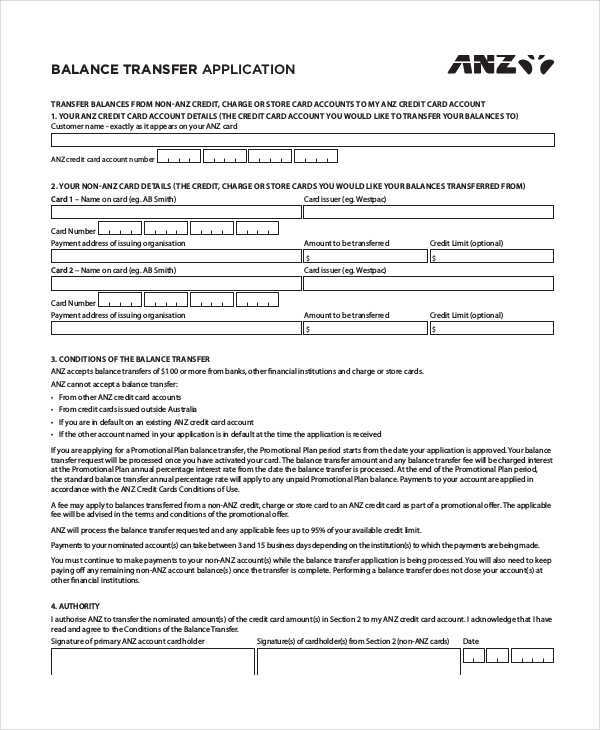 Transfer Application Forms may also be used for changing one’s place of employment as long as you stay within the same company. 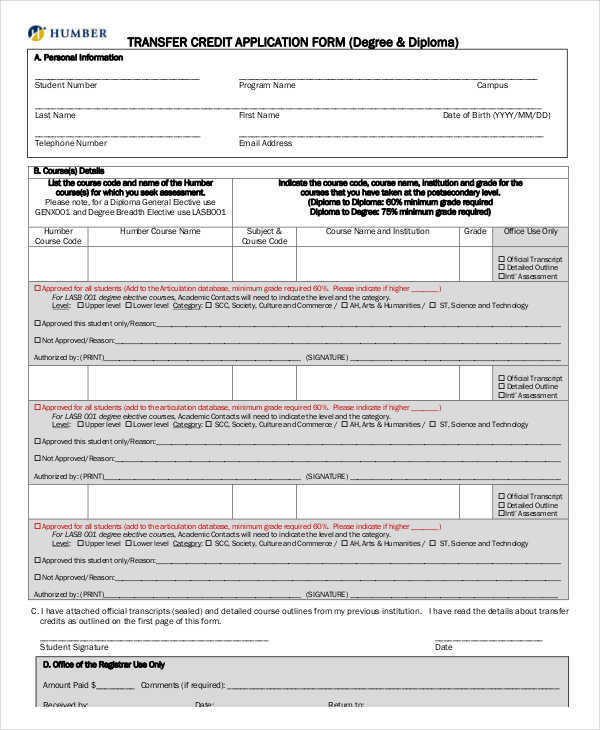 This form is used by government employees (like teachers) who wish to transfer to another school district. A Student Transfer Application Form or student transfer form, on the other hand, is used by students who wish to transfer to another school. 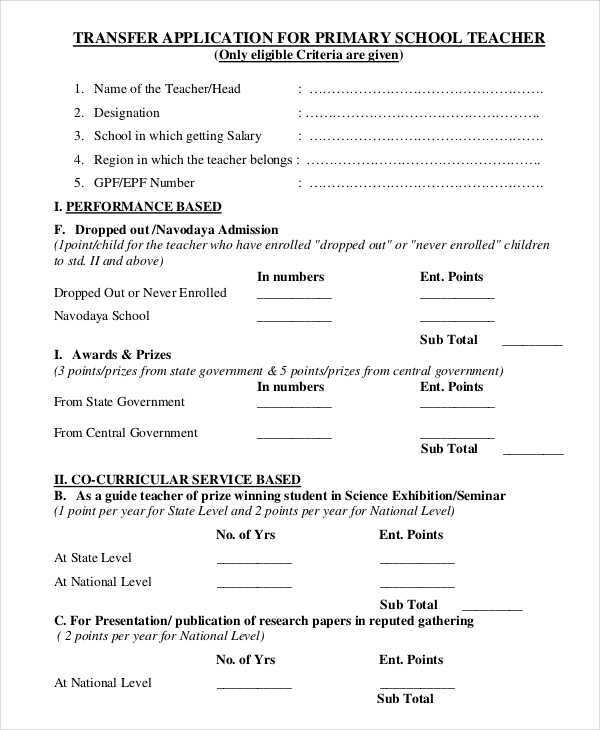 This form is filled out by a parent before the student can begin going to the new school. 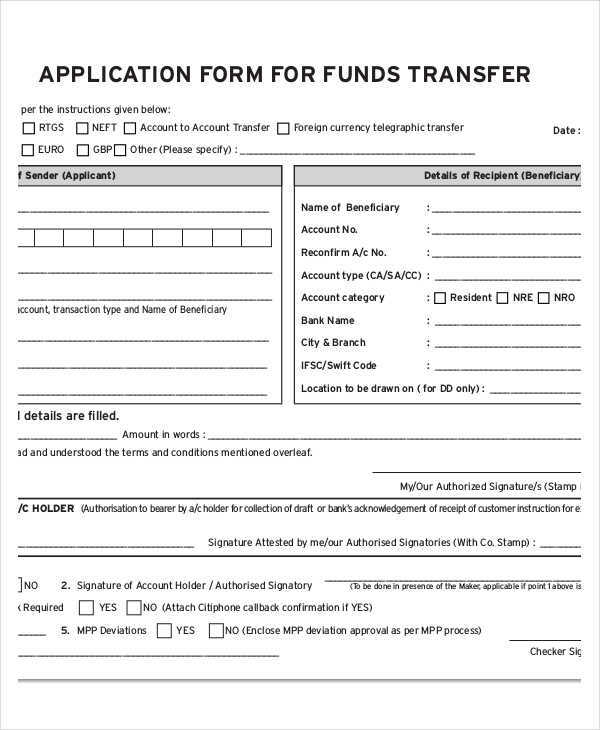 Aside from school transfer forms, another form used by students are Credit Transfer Application Forms. 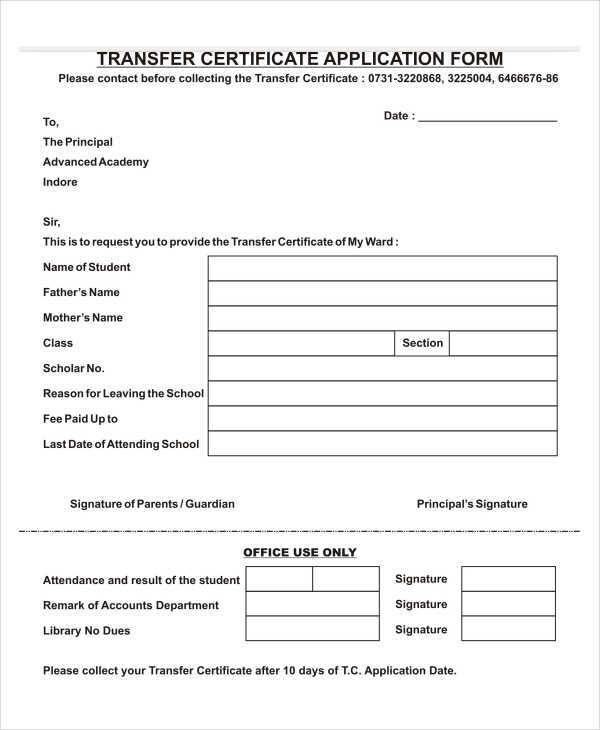 This form is filled out by students who have transferred to another college or university and they wish to have their course credits from the previous institution to be carried over to their new school records. 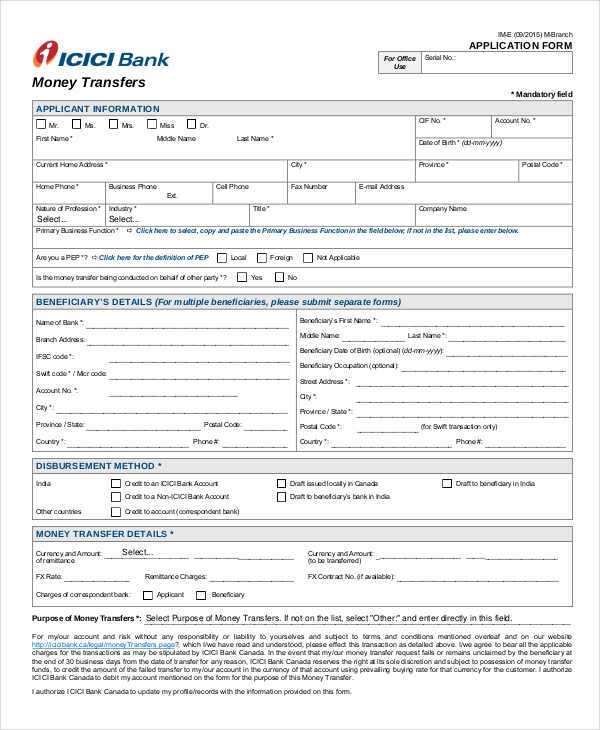 A Funds/Money Transfer Form is used in banks or remittance companies for sending money to another city or country. 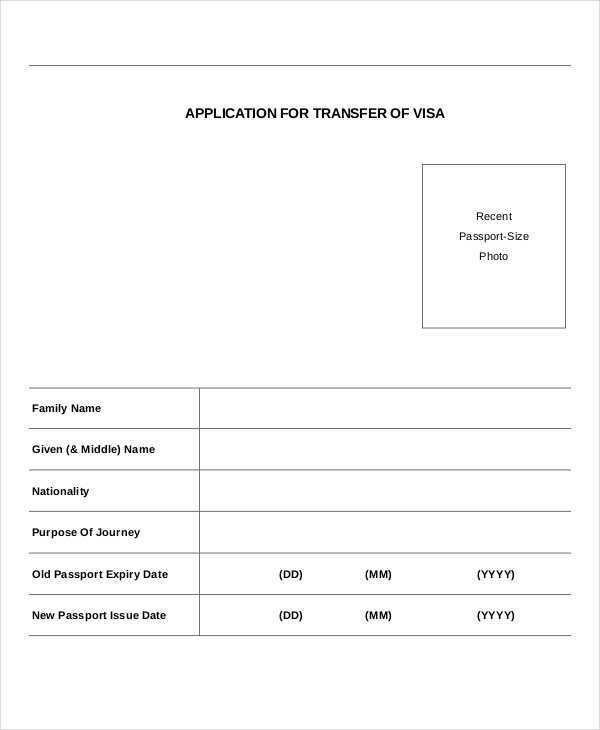 This form is used by foreign workers and parents of students studying abroad. 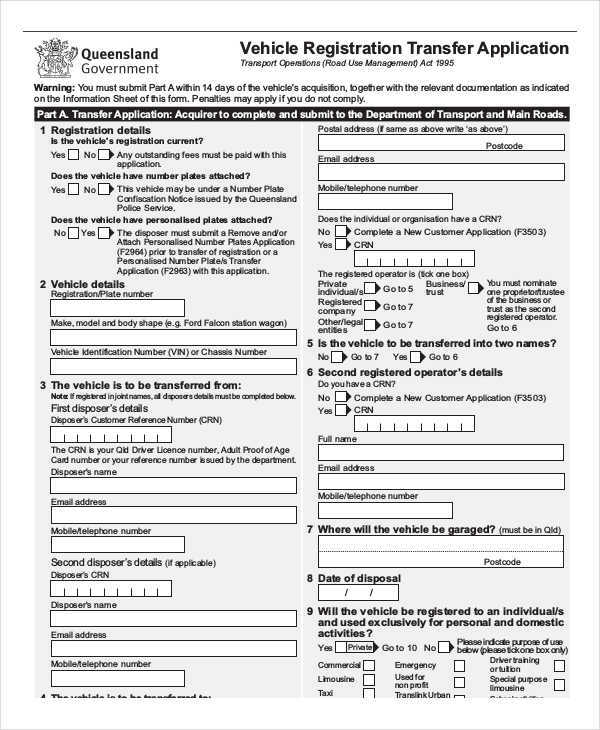 A Vehicle Transfer Application Form is used for transferring the ownership of an automobile to another person. Fill out the form legibly. 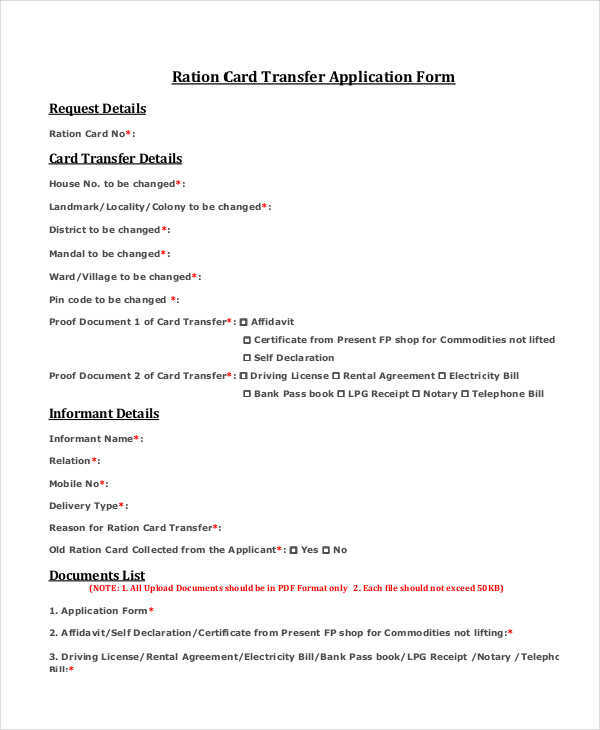 Treat a transfer application form as an official document and avoid erasures or any unnecessary marks on the form. Give accurate information. This tip is especially applicable those filling out real estate transfer forms. You need to provide the new owner with accurate information regarding the property to facilitate its transfer and sale. 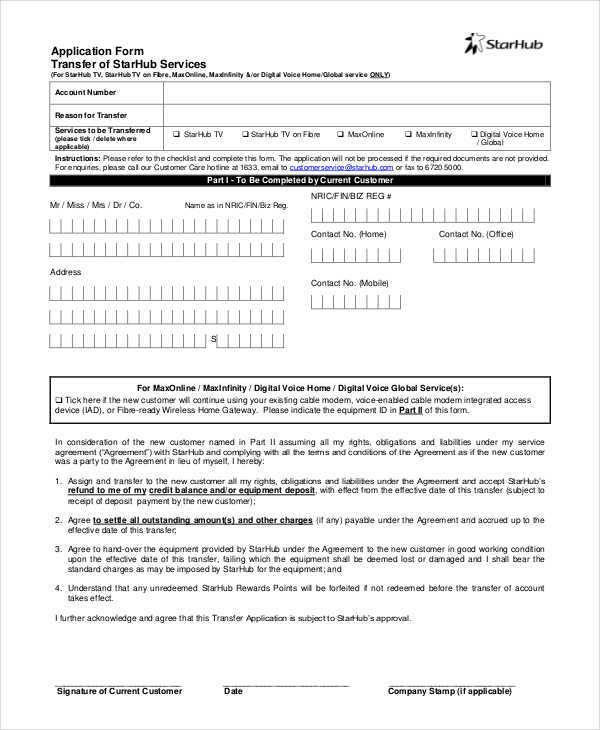 Submit the form on time. Most transfer application forms need to be submitted within a specific period of time to prepare both parties in the transfer. In the case of title transfer forms, the government and the new owner will still need to file other paperwork in order to complete the transfer. 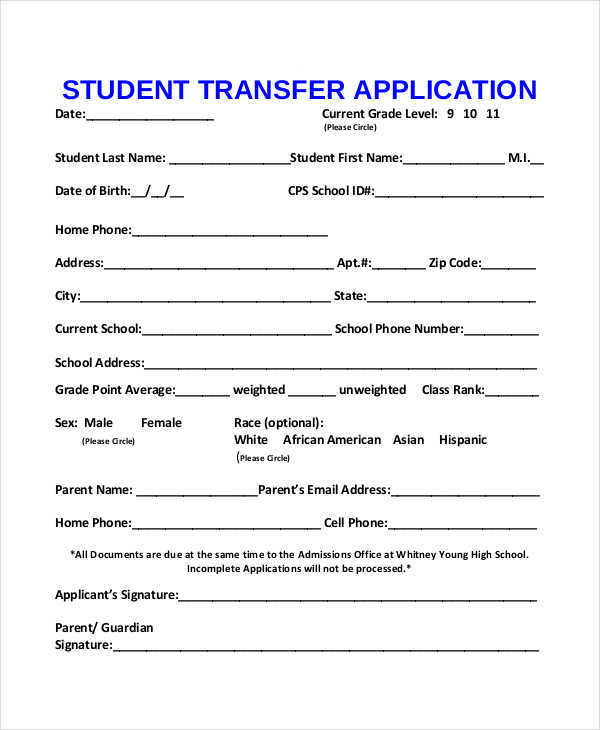 Student transfer forms also need to be submitted before the start of classes so that the school can prepare for the new student. If there are items on the form that you do not understand, ask a lawyer or the correct authorities. Transfer applications forms may contain wording that a regular person may not be familiar with. If you encounter this situation, make sure to clarify what they mean with the institution requiring the form. Or you may also ask a lawyer to explain it to you especially if you are dealing with transfer of property ownership forms.